Maha Shivaratri, which literally means the ‘The Great Night of Shiva’ is celebrated in the dark fortnight or Krishna Paksha on the 13th day or the 14th night of Phalguna or Maagha month (that is February or March as per the English calendar). On this day devotees worship and offer sacrifices to Shivalingam as part of their prayers to the god. This year, Maha Shivratri will be celebrated on February 13, Tuesday, and will be extended till February 14. Shivratri devotees observe fast and chant shlokas. They also pray to the gods to absolve them of all their sins. Devotees, traditionally offer milk, water, bel leaves (three leaves stalked in one) and fruits to the Shivalingam. Majority of devotees observe a special fast consisting largely of fruits along with plenty of water and milk. Devotees of Shiva have been observing the fast since centuries with immense discipline and dedication.. No meal is eaten after sunset on Shivaratri day. Next meal is taken on the morning of amavasya (next day morning) after doing puja. 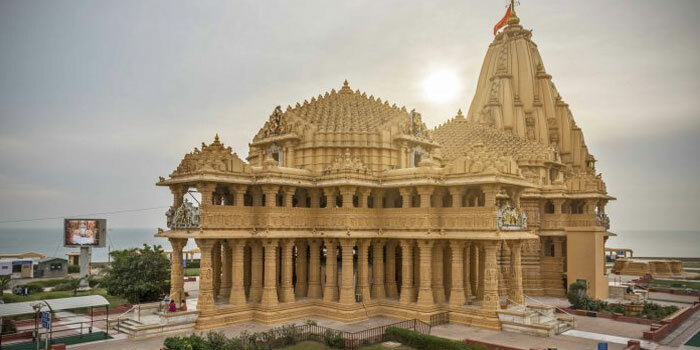 Somnath temple in Gujarat is one of 12 Jyotirlingas, Somnath temple yatra holds great prestige and reverence, it is one of the major destinations of Char Dham yatra. This historic temple is located in the Prabhas Kshetra near Veraval in Saurashtra, near the sea shore.